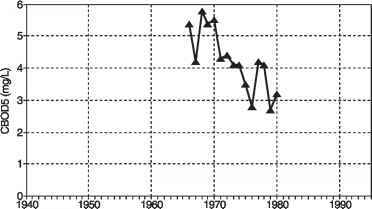 Figure 5-7 Trends in violations of DO standard (DO < 5 mg/L) in summer (July-September) for the Connecticut River before (1969-1973) and after (1974-1980) construction and upgrade of municipal wastewater treatment facilities at Agwam, Massachusetts. Source: Isaac, 1991.
that the dams prevented migration, yet 200,000 hatchery salmon placed in the river between 1968 and the early 1970s failed to return to the river to spawn, presumably because of the poor water quality (USEPA, 1980). Efforts to clean up the river began after passage of the 1972 CWA, and the return of the salmon in the late 1970s can be attributed to improved water quality. 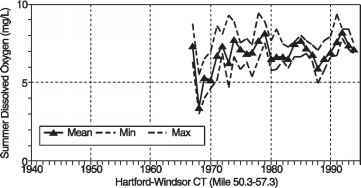 Figure 5-8 Long-term trends in DO for the Lower Connecticut River from Hartford to Windsor, Connecticut (RF1-01080205029, River Miles 50.3-57.3). Source: USEPA STORET. Figure 5-9 Long-term trends in BOD5 in the Lower Connecticut River from Windsor to Rocky Hill, Connecticut. Source: Reimold, 1991. Another anadromous fish species historically important to commercial and recreational fishing on the Connecticut River is the American shad (Alosa sapidissima). Shad had a precarious existence in the river before 1975 (Center for Environment and Man, 1975), but their population increased afterward (Figure 5-11). 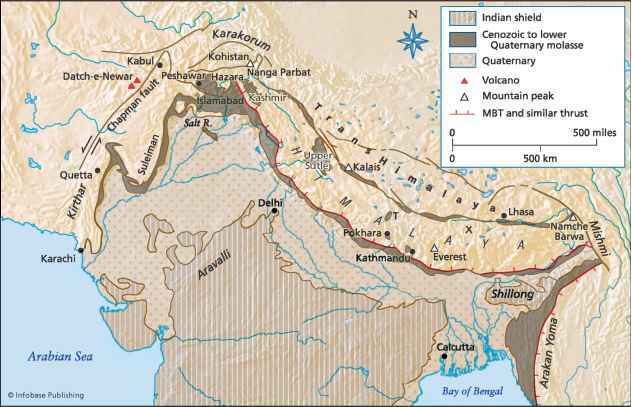 The estimated mean population for the years 1975-1989 was 841,265 (Savoy, 1991). The 1990 estimated population was 654,885, lower than the previous 14-year mean but considered by the Connecticut Department of Environmental Protection (CTDEP) to be stable. Figure 5-10 Long-term trends in DO for the Lower Connecticut River from Haddam to Middle-town, Connecticut. (RF1-01080205021, River Miles 16.3-21.6). Source: USEPA STORET. Figure 5-11 Long-term trends of shad relative abundance for the Lower Connecticut River. 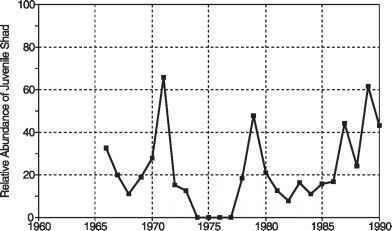 Source: Savoy and Shake, 1991.
general declining trend that lasted from 1986 to 1989 (Savoy, 1991). Similarly, juvenile shad had strong relative abundances from 1987 to 1990 (Figure 5-11), indicating good reproductive success (Savoy, 1991). Juvenile fish are generally less tolerant than adults of low DO concentrations, so an improvement in reproductive success is a good indicator of improving water quality.